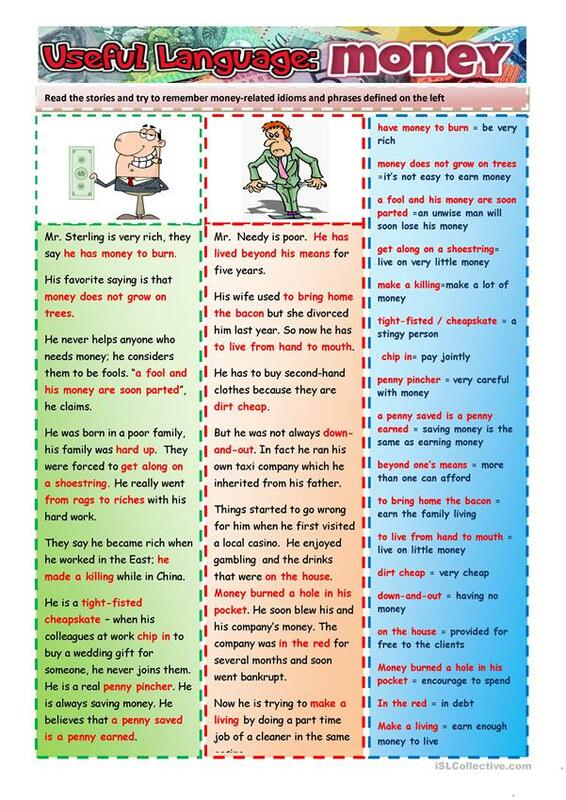 This worksheet consists of two stories I made up to demonstrate the use of some money-related expressions (defined next to the texts); The second page has a gap-filling and a writing task. The above downloadable handout is best suited for high school students and adults at Pre-intermediate (A2), Intermediate (B1) and Upper-intermediate (B2) level. It is a valuable material for strengthening your students' Reading skills. It centers around the topic and words of Money.